Tumalo Lavender is a farm owned by Gordon and Judy Knight. Before deciding to become lavender farmers, they spent three years researching, investigating, and reading extensively about lavender. Their quest took them to lavender farms throughout the Northwest. They became knowledgeable about growing, processing and working with lavender. They found the right varieties that would adapt and survive in the climate of Central Oregon. 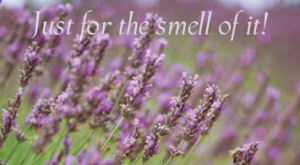 In June 2005, Tumalo Lavender’s 10 acres had its first 1,000 test plants prepared and planted. The following year, Gordon and Judy planted over 6,000 plants showcasing 15 varieties of lavender. All the lavender varieties were selected for their beauty, climate hardiness, oil, scent and color. At present time, they have approximately 10,000 lavender plants in the field representing over 20 different varieties from white to violet, pink, blue and several shades of purple.